05aprAll Day07Back to the Basics WeekendTime to come camping!!! It’s that time of year again! Start the new camping season off right with great deals. Bring your family and camp this weekend for $25.00 a night on a full hookup, water & electric, rustic site. Stay in one of our cabins for $125.00 a night or one of our Treehouses for $150.00 a night. Enter in our Mountain Pie and S’more making contest. Bring your favorite supplies for making these camping classics. Also enjoy our Nature Scavenger Hunt – Campfire stories – Old fashioned games (sack race, three legged race, etc.) and much more! 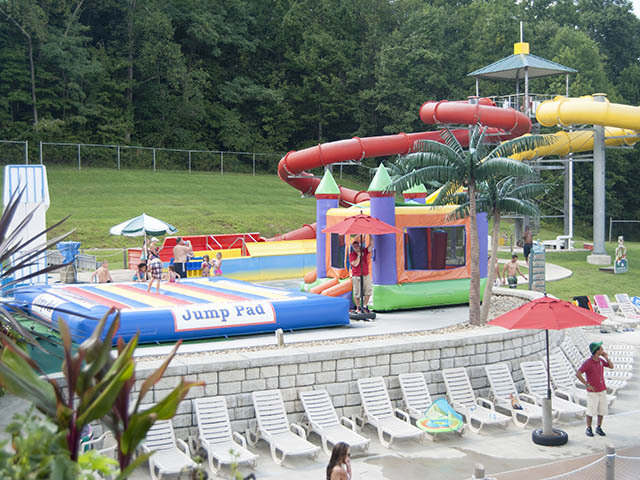 This weekend to Honor our Military, Police, Firefighters & EMT’s – Show us your credentials and you can camp for $20.00 per night on a site and 50% off summer rates on cabins. Tug a war, races and many other fun events. Bring your family and enjoy the campfire in the evening. We will supply the hot dogs, marshmallows & drinks. Bring a covered dish for this potluck dinner. 19aprAll Day21EASTER WEEKENDThe Easter Bunny is coming! Join the Easter Bunny for a weekend of Easter fun! Some activities this weekend include our Magical Easter basket ride – Egg coloring – Cookie decorating – Easter egg hunt – Kids crafts – Adult crafts ($) – Jelly bean guessing contest – Wagon ride with the Easter Bunny – Easter basket raffle ($) – Candy Bar Bingo ($)! 26aprAll Day28Race WeekendStart Your Engines! Race Fans of all ages start your engines for the Yogi Bear™ 500! You can make your own race car during kids craft then race it in the Yogi Bear 500. Wear your favorite racer’s attire. Kids crafts – Adults craft ($) – Wagon ride – Candy Bar Bingo ($) and more! © 2011-2019 Jellystone Park™ Mill Run. All Rights Reserved.